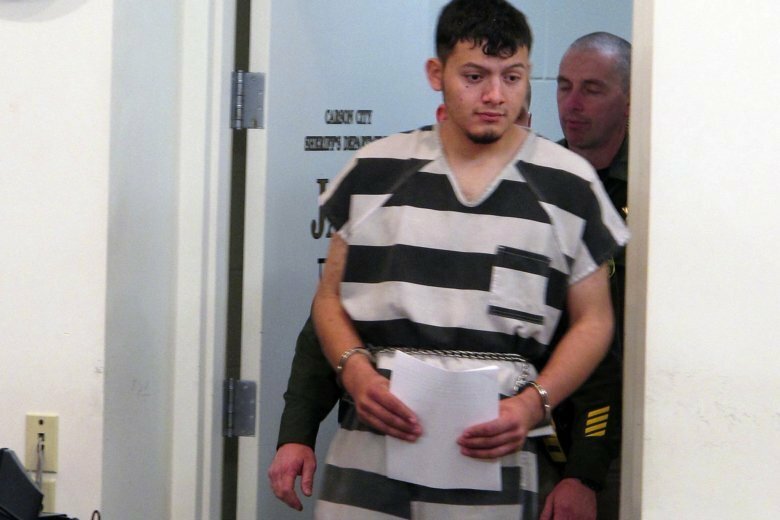 RENO, Nev. (AP) — Prosecutors said Thursday they will seek the death penalty against a 20-year-old Salvadoran immigrant in the U.S. illegally who has been charged with four killings, including an elderly couple, in Nevada. Wilber Ernesto Martinez-Guzman is being prosecuted in Reno after authorities said he fatally shot the couple in their Reno home and two women in their homes in Douglas County during a 10-day crime rampage. Immigration status had nothing to do with the decision to pursue capital punishment in the case, Washoe County District Attorney Chris Hicks said. A grand jury indicted Martinez-Guzman on Wednesday on murder, burglary and weapon charges. He could enter a plea to those counts at his first appearance in state court, scheduled April 11. He has been held without bail in the county jail in Reno after being charged in previous criminal complaints. He was arrested Jan. 19. His public defense attorney, John Arrascada, did not immediately respond Thursday to messages seeking comment. The four slaying victims include Gerald David, 81, and his 80-year-old wife, Sharon David, a prominent Reno Rodeo Association couple who had employed Martinez-Guzman as a landscaper at their house. Police say they were shot with a .22-caliber handgun that Martinez-Guzman stole from them less than two weeks earlier. Court documents allege that Martinez-Guzman’s DNA was found on the same gun that was also used to kill Connie Koontz and Sophia Renken in their homes. Martinez-Guzman was arrested in Carson City, where he also faces a series of weapons and burglary charges.